Customized Agency Logo Designs – Only $249! 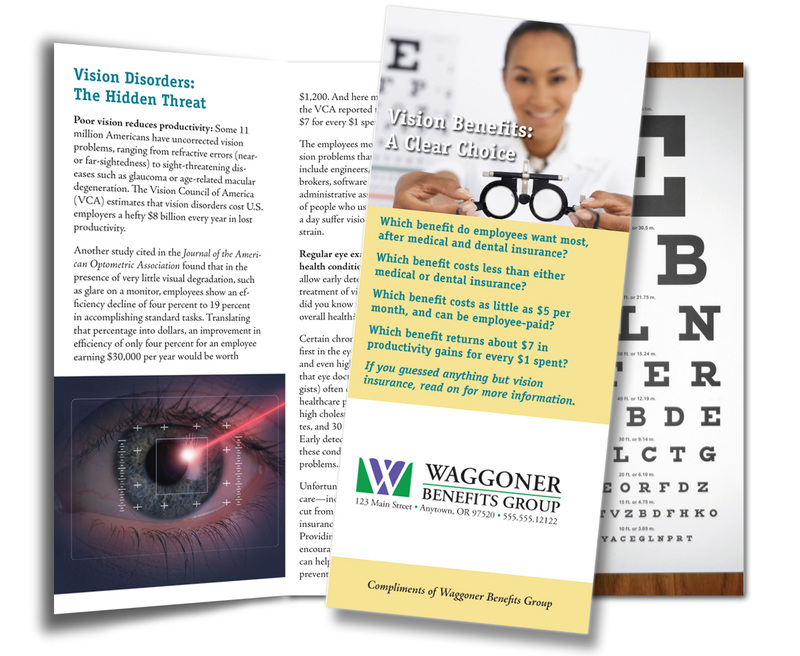 Choose any number of these tastefully designed professional brochures for your order and pay the lowest unit price for all of them (you must order a minimum of 50 of each brochure you choose). 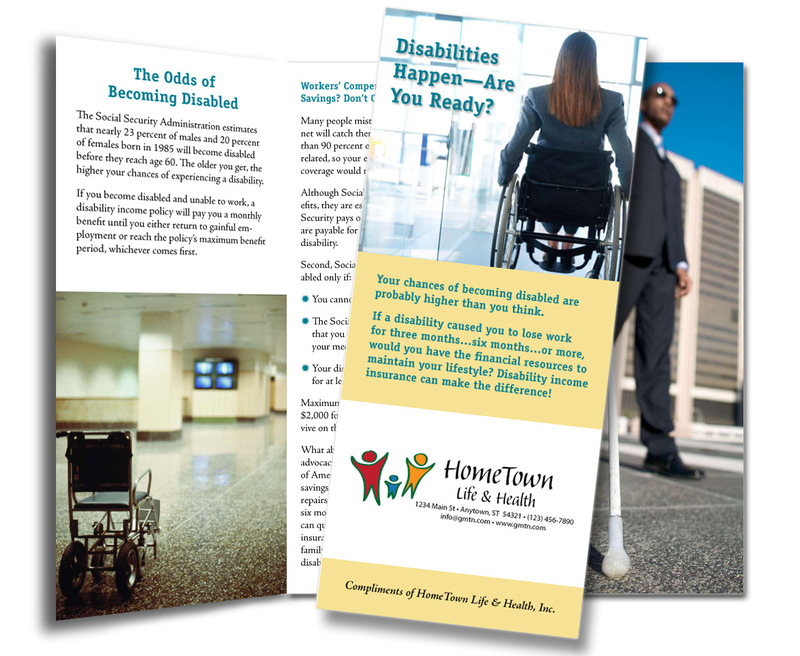 Disabilities Happen — Are you Ready? They’re Substantive: They’re great as leave-behinds after you’ve made your pitch. 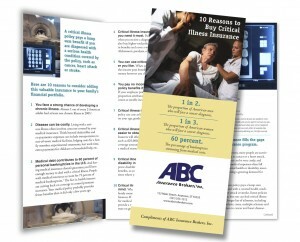 They slip easily into envelopes for delivery with invoices and insurance policies. You can display them in your office in racks or on a coffee table. They’re Branded For You: Your authority as a trusted advisor is undiminished when you present product information under your own brand, rather than the brand of a company you might represent. 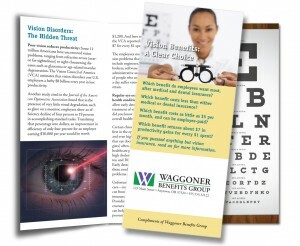 They’re Targeted: Focused on particular topics or products, they help the reader understand and ultimately want the product. They’re Detailed: When people are considering a product purchase, they want detail. They’re Persuasive. 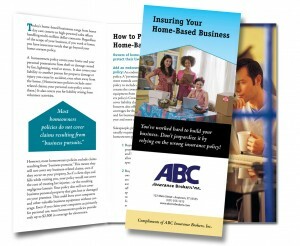 Brochures follow the AIDA formula for successful advertising copy. They capture attention, maintain reader’s interest, excite demand and prompt action, such as a phone call to you. They’re Credible. 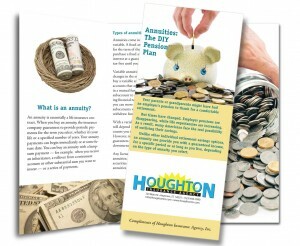 Customized with your firm name, your brochures convey the perception of trustworthiness, competence and authority. 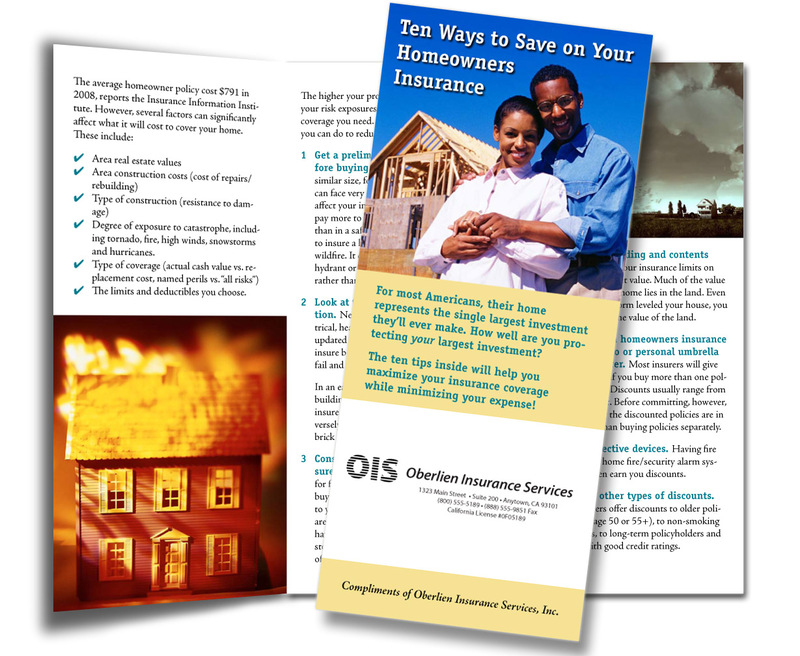 Choose any number of brochures for your order and pay the lower unit price for all of them (you must order a minimum of 50 of each brochure you choose). “Our Smart's newsletter is great! 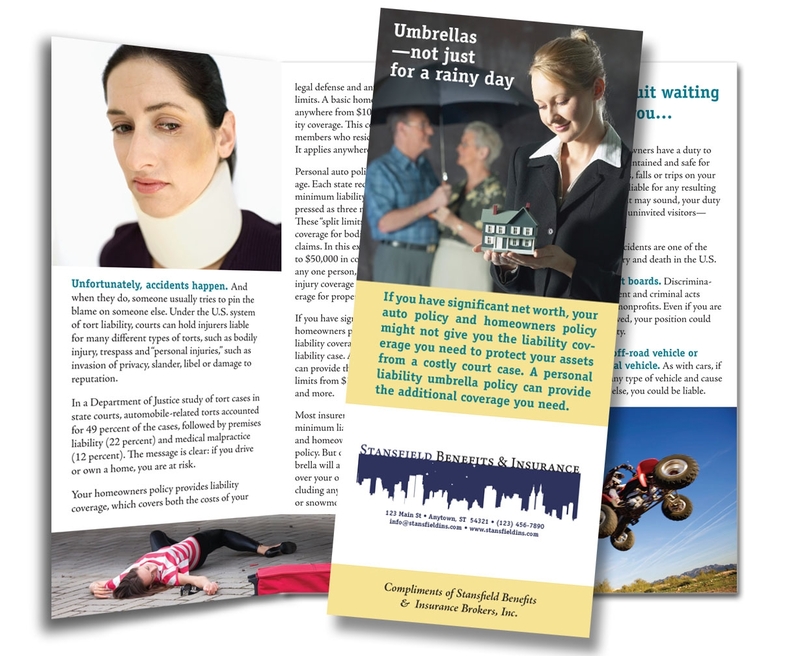 We struggled for over a year to develop our own newsletter and content before we found Smart's Publishing. Now we could not imagine not having it. It is a great resource for our clients and we get positive feedback from them…it's an incredible way to stay ‘top of mind’ with our clients." — Michael Bakonyi, RHU, REBC Managing Partner Employer Solutions Group, Austin, TX "Creating Value...Through People"
"I really like my Smart's newsletters. I think they've bumped my credibility up a couple of notches."